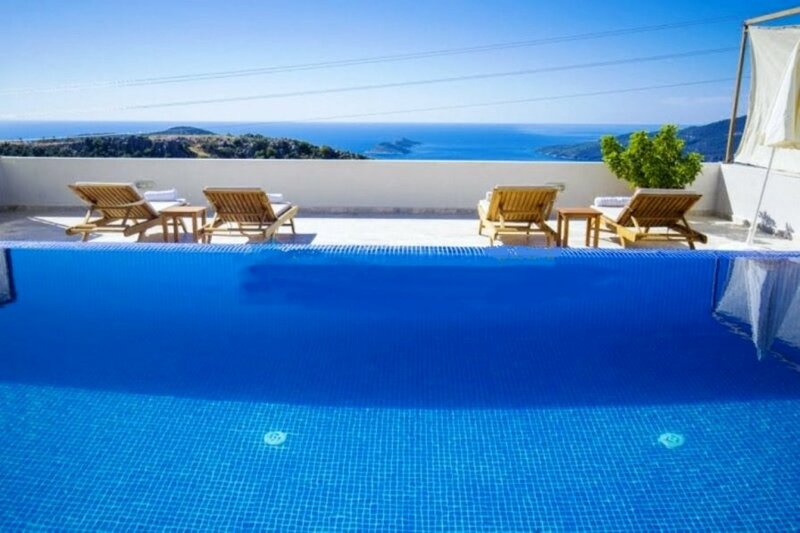 is located in Kalkan and sleeps 10 people. It has WiFi, garage and parking nearby. This is a marvellous brand new 4 bedroom villa with sea view from any level of villa, its up on the hill so promising cool and breezy fresh air even in hot mediterenean summer months, aso offering you potential clients unforgettable holiday experience. villa has a great potentia to chill out and have a wonderfull time in a fully private villa. erything you need to know about Kalkan. Places to see, things to do, beach clubs, boat trips, activities, restaurants, bars and more. This pretty Turkish harbour town has been one of the best kept secrets in Turkey, and we can help unlock it for you. Beaches: Kalkan has its own shingle beach and there are several bathing platforms and beach clubs around the bay, offering sun loungers and parasols with bar and snack facilities for a small fee. The next nearest beach is at Kaputas, an easy ten minute drive or bus journey away. But the jewel in the crown of local beaches has to be Patara Beach - 18 kilometres of golden sand and nothing much else, apart from a few people and a cafe/snack bar at one end! Only a twenty minute drive/bus journey from Kalkan, Patara is also an area of historical significance. Did you know that Santa Claus (Saint Nicholas) was born here? Boat trips are a very popular way of combining relaxation with education (if you really want to take it that seriously...) There is a myriad of boats available for daily hire in Kalkan bay and they can take you for a simple gentle cruise around the bay and neighbouring coastline, or go for a full-blown seven day cruise. It's up to you, but either way the scenery is breathtaking... all set against the backdrop of that gorgeous turquoise sea! See our Boat Trips page for more details.